Saint Elizabeth Medical Center – Boston, MA – NEW Installation! For St. Mary’s, implementing Innovare’s charging stations in our hospital was a no-brainer. Not only does Innovare invest in all the equipment, but they also do all installation, maintenance, ad sales, and updates. On top of that, they get approval from me for every ad and give us a portion of the sales revenue. Plus, providing charging stations for our staff, patients, and their families is really valuable. At the end of the day, their way of doing business speaks to what great people they are. Even after trying to get in touch with me for various reasons many, many times, they have never once shown any lack of patience! I really appreciate that kind of patience and understanding in a partner and highly recommend all of the Prime Healthcare facilities. Innovare Medical Media (Innovare) is honored to add Erlanger Health System (Erlanger) in Chattanooga, TN to its list of innovative hospital partners. 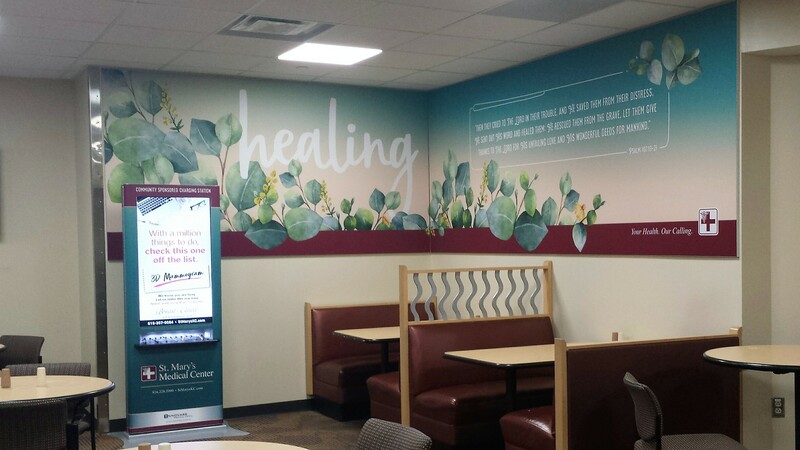 Erlanger receives charging solutions to support the on-campus experience, while also promoting their specialties, services and other messages on the digital platform. Innovare was able to install this equipment at zero cost to the Erlanger Health System, and support the system in their effort to improve the patient and visitor experience on their campuses. To learn more about these free Innovare opportunities, you can reach Innovare at info@innovaremedia.com or 866.887.2207. Innovare Medical Media has significantly grown over the last few years. 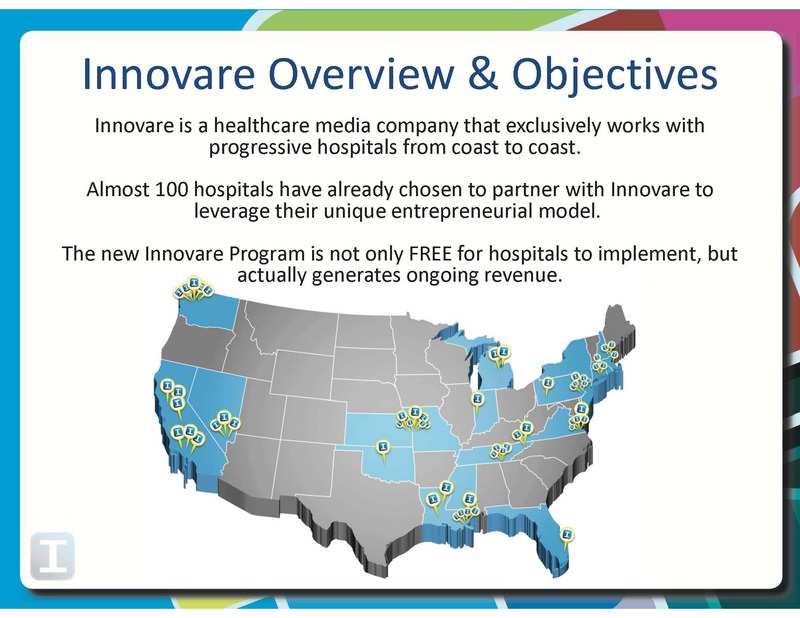 With 30 teammates to serve 85+ hospitals in 21 states, Innovare needed more room! This past weekend we moved from our 3,400 square foot office into our very own 10,000 square foot building! It was an incredible experience to watch our team (and their families) come together to get us moved out of the old office and into the new one… all within a matter of two days!! We’re really excited to be settled in and to continue doing big things here at Innovare! Thanks to all the family and friends who helped Innovare move to its new and improved home! 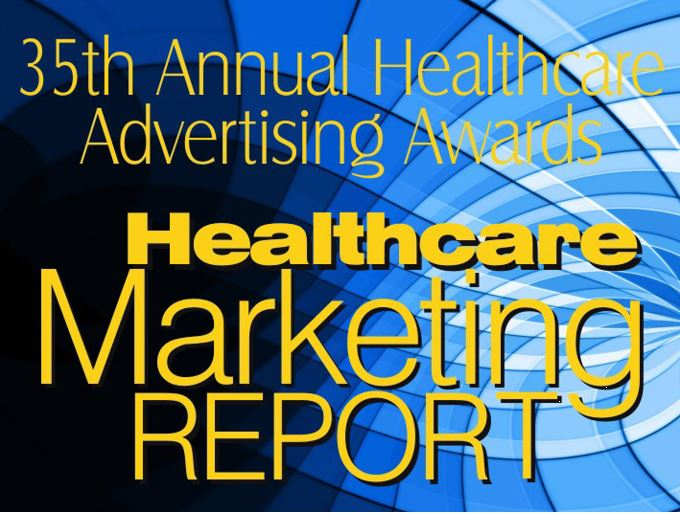 The Healthcare Marketing Report (Atlanta, GA) have announced the winners of their 35th Annual Healthcare Advertising Awards. A national panel of judges reviewed over 4,000 entries, awarding companies across the country for their creativity, quality, message effectiveness, consumer appeal, graphic design, and overall impact. Healthcare Advertising Awards praised Innovare’s newly installed Free Charging Solutions and Community Showcase model within Bristol Regional Medical Center (Bristol, TN) & Holston Valley Medical Center (Kingsport, TN), part of the newly formed Ballad Health. 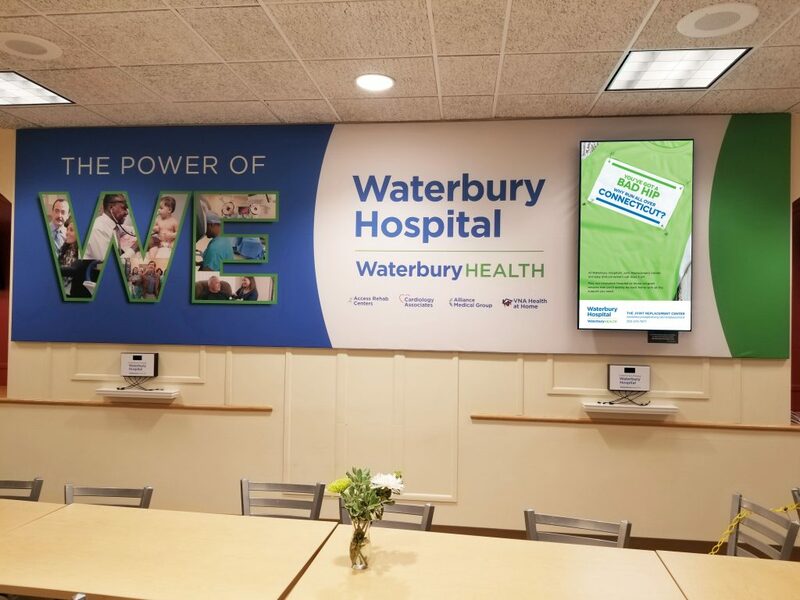 The partnership at Bristol and Holston Valley, included large and impactful marketing digital screens to deliver service line marketing messages, as well as other hospital messaging, which can be frequently updated. Innovare provides these hospitals with valuable charging station concepts for phones/computers/tablets and an internal digital marketing platform all at no cost to the hospital. The program, being sponsored by community partners, is not only free, but also generates new, recurring revenue which Innovare contributes to the hospitals! This award comes on the heels of another victory in 2018; the New England Society of Healthcare Communications and their Lamplighter Awards, presented Innovare’s program at Portsmouth Regional Hospital (Portsmouth, NH) with the Award of Excellence in the “Success on a Shoestring” category. Innovare Medical Media (Innovare), based in Branchburg, NJ, recently won the Award of Excellence from the New England Society of Healthcare Communications at its 28th annual Lamplighter Awards Gala. 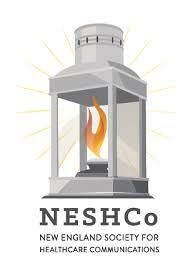 The Lamplighters recognize the best-of-the-best in healthcare marketing and public relations throughout New England. Winning the Lamplighter Award, in the “Success on a Shoestring” category was ideal for Innovare as this category focused on campaigns done with limited budgets. This win recognized Innovare’s innovative economic model as it provided marketing charging solutions for Portsmouth Regional Hospital (Portsmouth) for free. Portsmouth has been able to leverage these impactful units to feature hospital marketing and branding content while additional inventory is sold by Innovare on a sponsorship basis to Hospital-approved businesses. In addition, the proprietary sponsorship model enables Innovare to contribute a portion of the revenue back to the hospital. “Portsmouth Regional Hospital was looking for a cost-effective solution to effectively market/brand the hospital as well as support patient experience by providing charging solutions. Once introduced to Innovare, we quickly saw the business model as a no-brainer. Innovare provides hospitals with free marketing displays, including Charging Stations, plus, they contribute a percentage of the gross revenue back to the hospital,” said Lynn Robbins, Director of Marketing and Public Relations at Portsmouth Regional Hospital. To learn more, contact Innovare Medical Media at info@innovaremedia.com. Waterbury Hospital, a mid-sized community hospital licensed for 357 beds in Connecticut is the second hospital partner for Innovare Medical Media in the state of CT.
At zero cost, Waterbury Hospital was able to upgrade their mobile device charging station equipment as well as transform some existing space on campus to feature real, hardworking media. This exciting, new program includes large format billboards and LCD’s to showcase strategic marketing initiatives. 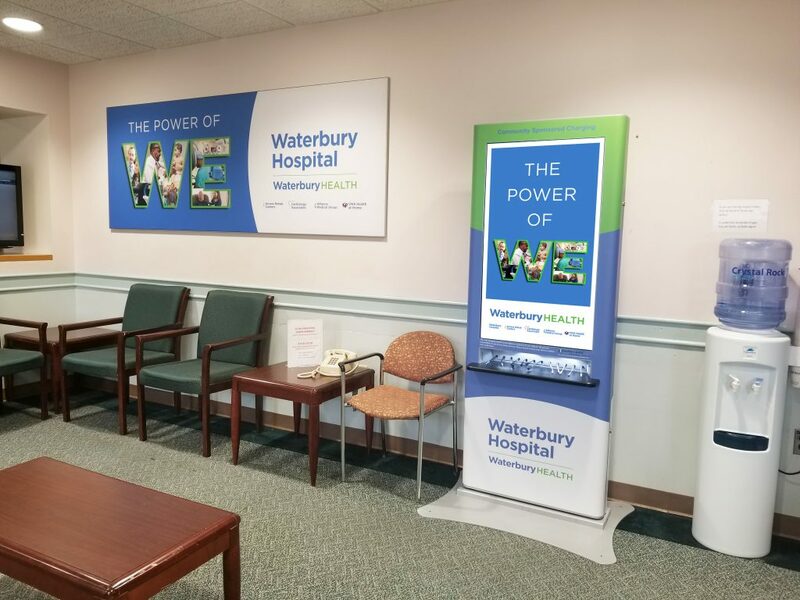 In addition, Waterbury Hospital will receive a brand new recurring revenue stream from Innovare through this program, which is supported by hospital-approved local community businesses. Innovare continues to thrive, expecting to add an additional 30 Hospitals in 2018, to its already 91 hospital portfolio. For more information about Innovare you can reach Michael Ricciardi, Partner/Co-founder, at 908-669-2101 or mricciardi@innovaremedia.com.